If you spend any time at all around social media, you know about Guy Kawasaki, a co-founder of the Alltop news aggregation site and of the venture-capital firm Garage Technology Ventures. Guy’s early career was as an “evangelist” for Apple, where he learned the art of enchanting customers and users. He’s everywhere, and he has a massive following on Twitter. You can imagine my surprise when an email from Guy showed up in my inbox. He was aware that I had a blog, he said, and he was looking for bloggers who were interested in receiving an advance copy of his new book for review. Naturally, I felt honored to hear from him. I expressed an interest; I had to tell him a bit about myself and my blog so he could make sure that book and blog were a good fit. Before long, Enchantment arrived. With it came a letter with a link to resources to make it easy to write about the book. 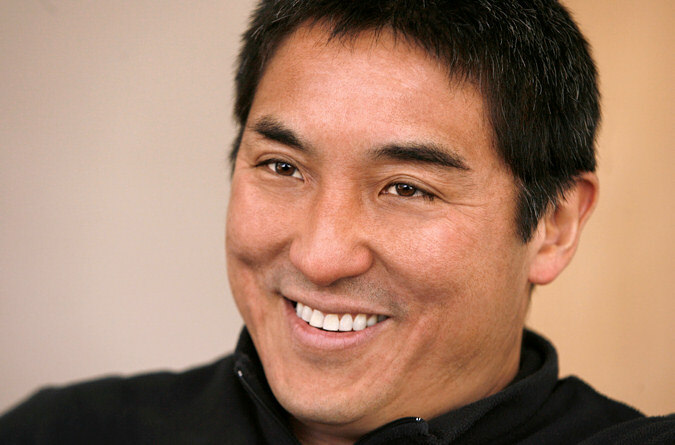 All of which is to say that Guy Kawasaki practices what he preaches. He made me feel that my work and I were important to him. He delivered what he promised, on time. He made it easier for me to do my job (and tell you about his book) by putting helpful tools in my hands. I was a fan before; I’m an evangelist now, and the Good News I’m sharing is that Enchantment: The Art of Changing Hearts, Minds and Action, is well worth your time. Like a 21st-century Dale Carnegie, Guy shows you what it takes to connect with people and win them over to a cause. Everything starts with you, he says, and he tells you how to achieve and convey both likability and trustworthiness. For example, if you want to avoid that fake smile that reeks of insincerity, you have to think pleasant thoughts and produce crow’s feet around your eyes; get your whole face, not just your mouth, into the act. If you want to be trusted, you have to trust others, be open about who you are and disclose where your interests lie in the cause you’re promoting. Once you have yourself on the path to being enchanting, Guy shows you how to design and improve a cause worthy of getting others to buy in. He covers everything from the do’s and don’ts of modern promotion to techniques for enchanting customers, employees and even your boss. Don’t interrupt people; don’t dismiss their concerns offhand; don’t rush to give advice; don’t change the subject. Allow people their moment. Guy’s book is available beginning today. I encourage you to buy it and to allow Guy his moment in your life. You’ll be a more effective, more enchanting person if you take his book to heart. This entry was posted in Communications, Leadership, Society and tagged Enchantment, Guy Kawasaki, influence, persuasion. Bookmark the permalink.